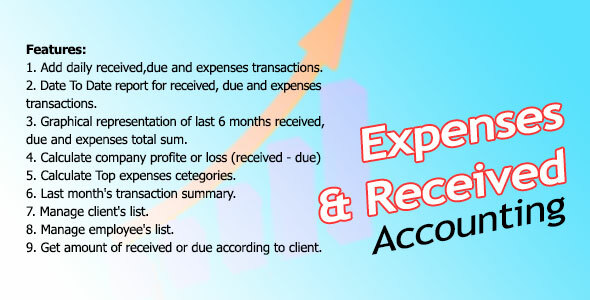 Drs Expenses & Received Management System is an application to manage account received , due and daily expenses. Add daily received,due and expenses transactions. Date To Date report for received , due and expenses transactions. Graphical representation of last 6 months received , due and expenses total sum. Get amount of received or due according to client.